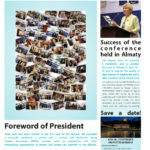 Please find attached the winter issue of our Newsletter. It was the intensive year for our Association; we organized several international conferences and events, we are boosting works of AEA-EAL Committees, including the team of young lawyers to provide new ideas and solutions for our works. Our main goal is to invite to active participation as many members as possible; members should join AEA-EAL events, cooperate with its Committees, share ideas and best practices as well as participate in creation of our media – the Newsletter, Facebook and website to cause that network of lawyers from many countries will serve to all of us to exchange knowledge and experience, to be better prepared for providing legal services. Please read the attached Newsletter! I do hope that it will inspire you to provide information, news and articles to its next issue. It is the end of the year again. All of us are preparing for celebration of Christmas and New Year. It is a special time we will spend with families and friends remembering all good that happened in old year and hoping for the best in the coming one. Veuillez trouver ci-joint le numéro d’hiver de notre bulletin. C’était l’année intensive pour notre association; nous avons organisé plusieurs conférences et événements internationaux, nous stimulons les travaux des comités AEA-EAL, y compris l’équipe de jeunes avocats, afin de proposer de nouvelles idées et solutions pour nos travaux. Notre objectif principal est d’inviter à la participation active autant de membres que possible. les membres devraient participer aux événements AEA-EAL, coopérer avec ses comités, partager des idées et des pratiques optimales, ainsi que participer à la création de nos médias – le bulletin d’information, Facebook et le site Web Échanger des connaissances et des expériences pour mieux se préparer à fournir des services juridiques. Veuillez lire le bulletin ci-joint! J’espère que cela vous incitera à fournir des informations, des nouvelles et des articles à son prochain numéro. C’est encore la fin de l’année. Nous nous préparons tous pour la célébration de Noël et du nouvel an. C’est un moment privilégié que nous passerons avec la famille et les amis à nous rappeler de tout ce qui s’est passé de bon à la vieille année et à espérer le meilleur de la prochaine année. Please find below a summer issue of our Newsletter. You may find information about our activities, in particular on Seminar in Moldova and conference in Kazakhstan, save a date info on our seminars in Bern, Lyon and Gdansk as well as relation from the AEA-EAL General Assembly that took place in Almaty. We also invite you to read an interesting information on recent Judgment of the EU Court of Justice related to Facebook and joint responsible for processing of personal data. The Newsletter is available in English and French below. Polish and Russian version will be published soon! 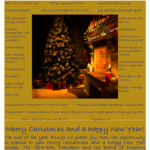 Please find below the newest issue of the AEA-EL Newsletter in pdf format ready for download. This publication is intended to keep you informed about AEA-EAL activities, important developments related to European and national law as well as to inform you about activities of our members, including presentations of their business profiles. We invite you to participate in creating future issues of the Newsletter.